It's the new year and that means time to suffer from severe self-doubt and lack of motivation. 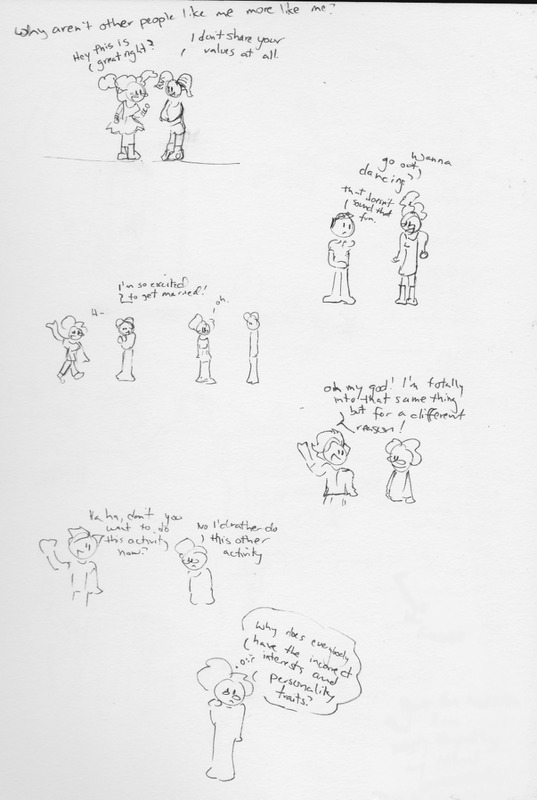 So in lieu of a real comic posted yesterday, here is an unfinished comic from my sketchbook posted today. The best way of dealing with this is to assume other people are irrelevant losers. This attitude will also make others like you more! Whoa - that's brilliant! I'll have to give it a try! Thanks!